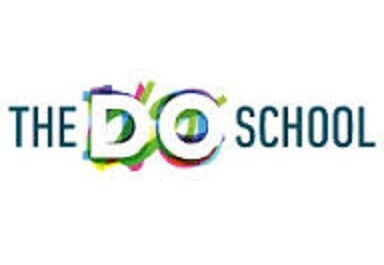 Do you want to join the DO School in Berlin to gain innovation and entrepreneurial skills by working on a concrete challenge? Are you eager to help develop an existing education program from South Africa to Nigeria, Kenya and beyond? Are you excited to be part of an innovative learning community? Then this 3-week Innovation and Entrepreneurship course in Berlin is for you! Apply now for the DO School Education Challenge Africa 2015 and learn hands-on what it takes to help roll out an education program across Africa. The training will take place from November 16 to December 4, 2015 in Berlin, Germany. Experimento is an international educational program offered by the Siemens Stiftung that provides teachers and educators with a practical and curriculum-oriented selection of topics in the areas of energy, health, and the environment. Specific instructions, methods, and materials for experiments help to embed the program in teaching. The Siemens Stiftung has successfully established Experimento in South Africa. Based on this success, the Challenge consists of developing a vision for local institutions that can be effective conduits for rolling out Experimento in other countries such as Nigeria and Kenya in a format that allows the program to scale efficiently and take into account local circumstances. Participation in the program is covered by Siemens Stiftung. A limited number of travel and accommodation stipends are available upon request. You will get the opportunity to learn and put into practice the DO School Method, a globally tested approach to help you put your ideas into action. People are using the DO School Method to create their own start-ups, develop careers as intrapreneurs within international companies, and maximise their professional impact. The DO School Method was developed by the internationally recognised DO School, in partnership with renowned entrepreneurs and activists. Complete the applications for the one-year DO School program through the online application form. For more information, visit The DO School Education Challenge Africa.